Ronald Shelley has perfected his abilities as a professional illustrator and fine artist. His seemingly effortless style belies his mastery of the exacting watercolor technique. He has a keen understanding of perspective, design detail and the play of light on objects. The artist was born and raised in Rugby, England. His early childhood was influenced by his family’s penchant for artistic pursuits and by the magnitude of World War II. He emigrated from England in 1956, arriving in the United States to work as a rodeo cowboy in Texas. 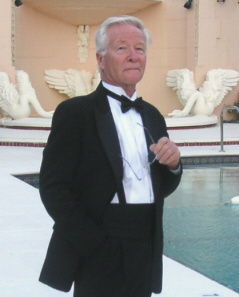 In the late 1960s, he moved to Florida, working as an actor, landscape designer and illustrator. The artist resides in Miami.